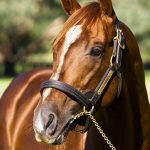 It’s official, Widden Stud’s Zoustar is the reigning Champion Australian First Season Sire for 2017/2018 and he was quickly back in a winning vein at Warwick Farm on Wednesday with three runners for an impressive winner in Charge and two second place-getters, all of them entered for the Golden Rose. 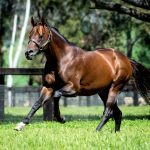 The best son of the late Northern Meteor, who was Champion First Season Sire of 2012/2013 for Widden Stud, Zoustar has done everything asked of him to date delivering 10 first crop winners of $3.2 million headed by his brilliant Group II winners Sunlight, Lean Mean Machine and Zousain. Two of those Group winners are prepared by Zoustar’s former trainer Chris Waller, who also puts the polish on promising colt Charge. Never worse than fifth in four previous starts last season in good metropolitan company, Charge seems a stronger, more focused individual this time around with two recent barrier trial wins ensuring punters sent him out favourite for this 1100 metre colts and geldings maiden. He jumped fast from the outside gate in the field of five and quickly took up the lead for James McDonald. Charge did just that turning for home and left his rivals behind with his stablemate Altair (also by Zoustar) doing best of the rest finish second more than three lengths back. A $450,000 Magic Millions purchase from the Turangga Farm draft for David Redvers / Mulcaster Bloodstock, Charge is the fourth winner from four to race from Queen of the Falls, a half-sister to Group II winner Elite Falls. Queen of the Falls changed hands earlier this year, bought by Harry McAlpine Bloodstock for $155,000 at the Magic Millions National Broodmare Sale. She has a yearling colt by Zoustar and will foal to him again this spring. Zoustar also had the second place-getter in the fillies division of the maiden that followed with Mizzy finishing a good second to Ready to Prophet suggesting a win cannot be far away. Charge, Altair and Mizzy are among 10 entries in the Group I ATC Golden Rose on September 22 for Zoustar, who is fully booked at Widden Stud this spring at a fee of $60,500.